Quote and buy a Multi Trip Insurance plan online offering comprehensive medical coverage for multiple trips outside home country. These policies are suited as Business Travel Insurance for executies and other individuals planning multiple trips in a year, for USA citizens traveling abroad, for non-US citizens traveling outside America to any destination country. Review Multi-Trip Insurance from leading US based travel medical insurance providers that are designed to take the risk out of professional travel and includes coverage for sickness or injury, emergency medical evacuation, protection for natural disasters, acts of terrorism, and much more. Patriot Multi-Trip is designed for individuals and families who travel frequently outside their home country throughout the year. The plan offers the ease and convenience of purchasing an affordable single annual premium plan that provides coverage for trips up to 30 or 45 days in length for each trip taken during a period of 12 months. The plan provides up to $1,000,000 of medical coverage and services.There are two plans available: Patriot Multi-Trip International provides coverage for U.S. citizens that take multiple trips annually outside the U.S., and Patriot Multi-Trip America provides coverage for non-U.S. citizens that take multiple trips annually outside their home country and/or country of citizenship. Frequent travelers looking for evacuation and medical coverage, when outside of their fixed permanent residence. Take as many trips as you want throughout the year, as long as the trips are less than 30 or 45 days, depending on the plan option you choose. GeoBlue Trekker Multi-Trip travel medical insurance plan provides health and accident insurance for US citizens under age 85 years, and who are frequent travelers going abroad on multiple international trips less than 70 days during the course of the year. 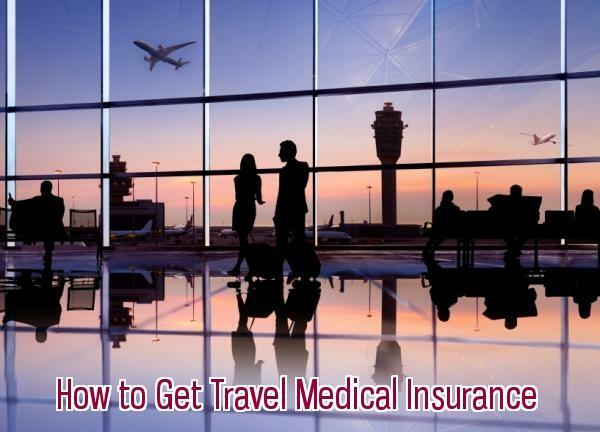 Single-trip travel medical insurance plans are best suited for individuals and/or families who are visiting the United States or Canada, or anyone who requires short-term health coverage outside home country. Travel health insurance plans provide the necessary coverage protection for friends and family such as relatives, in-laws, parents visiting USA, or new U.S. immigrants. Plans also offer coverage for US citizens traveling abroad and foreign national traveling outside America also.